Choice collection reflects the poet's mastery of a rich variety of poetic forms and meters. Included is one of his best narrative poems, "The Courtship of Miles Standish," along with such famous works as "The Village Blacksmith," "The Wreck of the Hesperus," and "Paul Revere's Ride." 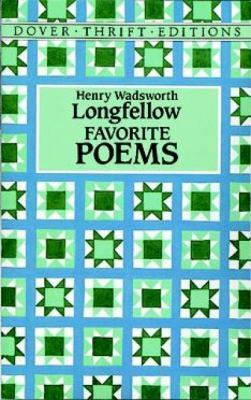 Alphabetical lists of titles and first lines.Longfellow, Henry Wadsworth is the author of 'Favorite Poems', published 1992 under ISBN 9780486272733 and ISBN 0486272737. Loading marketplace prices 35 copies from $0.01 How does the rental process work?